Accepting online credit card bookings from your website should be at the core of your growth strategy. Travel industry experts agree that accepting credit cards is of primary importance to your online marketing effort. The choice of your online booking service is just as important. Confused by the multitude of online providers and payment methods, hotels, B&Bs, and hostels worldwide are turning to the trusted Instant World Booking solution for processing online credit card confirmed reservations. You don't need a merchant account, payment gateway, or credit card processor. There's no bank applications, approvals, credit card setups, or links to external processors. All of these are costly, and necessary when you process credit cards online. Take secure payments up-front for online bookings. Instant World Booking is a leader in online booking innovation. Our latest offering is the revolutionary capability to secure full payment (100%) from your guests at the time of booking. 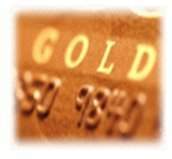 We will take your guest's online reservation and credit card payment, right from your own website. We handle all the processing. 1. Most competing services will collect a portion of the booking as a deposit, but not 100% (we offer a full range of collection options up to 100%). 2. Those that provide up-front collection of funds are known as "fragmented services". They invariably require you to obtain your own costly merchant account, involving bank approvals, and to administer the card processing yourself. 3. Other options include links to external consumer-based processors like PayPal® with no real integration. Studies have shown that without the ability to accept online booking from your website, you lose up to 85% of your traffic to competing sites. But, even with online booking you may still double your online profits with credit card acceptance. Instant World Booking can achieve these profits for you. Instant World Booking has no boundaries. You're not restricted from accepting bookings based on your location. Your guests are not restricted either. Instant World Booking is a web-based solution. There's no complicated hardware requirements or software to install. Did you know that systems requiring periodic software upgrades and maintenance contracts evolved from 1980's travel industry technology, and are always more costly. We will custom-develop your booking pages to integrate perfectly into your website. All the technology and instructions are provided for you. Implementation is quick and free. Bookings are secure and instant (request-method bookings are also available). We'll even install it for you if you wish. With Instant World Booking you never make any payments to us. With Instant World Booking, you can accept credit card confirmed bookings on your website, and we'll take up-front secure payment for bookings at a cost of no more than 12% of the reservation, and often less. As explained above, the only competing services offering deposit collection up to 100% are known as "fragmented services," and include total hidden and other costs ranging from 20-30% or more of your reservation value. Instant World Booking offers the absolutely industry-low cost for fully-integrated, credit card secured bookings from your website of only 1.9% of the reservation value. At less than half the cost of most budget providers, Instant World Booking provides excellent value. Contact us today at Contact Us to get started accepting credit card confirmed bookings from your website. If you're already listed with us, setup is quick, and you can begin accepting online bookings in just one or two days. Remember, You never make a payment to us for any Instant World Booking Service. Important merchant information: Instant World Booking provides travel agency and technology to accept online reservations only for member lodgings. All transactions originate directly between cardholders and Instant World Booking, who provides the reservation service to the cardholder. No transactions are accepted from any third party or processed for any third party sale or business. We do not sell or re-sell merchant services, or provide access to a merchant account or credit card system. These conditions are in accordance with our merchant agreement, FTC rules, and other laws and regulations.